Our new bi-weekly challenge is up at Twisted Tuesday. This time, your challenge is....Don't Go Near The Edge!! The Twist is to use dictionary, old book or script paper on your creation. I started with gorgeous papers from Prima's Stationer's Desk Collection, and added some vintage book pages under my photo. I used a Donna Downey stencil and ran some Golden molding paste through it. Once dry, I sprayed my background with Lindy's Alpine Ice Rose. The chippy is from 13 @rts and was sprayed with Lindy's Edelweiss Moss Green. I used some old laces from my stash under my flowers. The small chippies were also sprayed with Edelweiss Moss Green and they have taken on a silver appearance. I added some rhinestones in the center of each. In the background you can see a bit of stamping (hero Arts) with Prima Chalk Ink in Moss Lawn. More lace, and another chippy, this time from Lindy's and sprayed with Green with Envy Green. I also splattered my background with Lindy's Flat Fabio in Ruby Red Slippers. The flowers are from Prima and Recollections. Love that shimmer on the Lindy's chippy!!!! The Prima resin frame, holds my title, which is a word sticker from Authentique. More stamping, this time with Kaisercraft's Chicken Wire stamp and Timber Brown ink by Stazon. I hope you enjoyed my layout this week. Please be sure to check out all of the DT projects at Twisted Tuesday. And don't forget to enter our challenge, for your chance at a Guest Designer spot!! 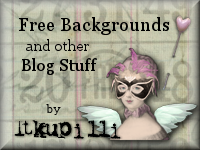 I started with Fabscraps papers in pinks and gray/greens, for my background. a bit of tearing, here and there, and some punching with Martha Stewart's Gothic Arch (?) punch. I added a bit of Liquitex Modeling Paste through Donna Downey's Turkish Grunge stencil. My title is American Craft Thickers which I embossed with Queen Sheba's Silver. The flowers (I Am Roses Gardenias, Roses and Mini Roses, Prima leaves and Petaloo Vine) were treated to some Starburst Sprays in Shabby Turbine Teal, Golden Lump o'Coal ( discontinued), Steampunk Sepia and Pretty in Pink Pink. The Dusty Attic bird cage was first painted with Liquitex Basics in Titanium White, and then oversprayed with Frozen Jack Frost. The chipboard frame is from my stash (unknown manufacturer), was left naked and then sprayed with Shabby Turbine Teal and Golden Lump o'Coal. The base of the frame, was painted white, sprayed with Frozen Jack Frost, stamped with a Hero Arts stamp, and heat embossed with Magic Moon Pearls (discontinued). Now, I know what you're going to say....Magic Moon Pearls is clear....well, I hadn't cleaned off my stamp from the last time, so there was a bit of brown ink left on it. Not what I wanted, but the unexpected results are striking! For the Prima resin clock pieces, I first sprayed with Golden Lump o'Coal, heat set, and then embossed with Magic Moon Pearls. After my pieces had cooled off, I sprayed them with water to remove the excess Starburst Spray. The awesome part of this, is that the embossing powder, trapped the SS underneath, giving it a very shabby/grungy look!! I hope you enjoyed this project, and make sure you visit the Lindy's Stamp Gang Blog, to see all of the DT projects. While you're there, be sure to enter our Color Challenge. And don't forget to check out the Lindy's Store, for all of your spray, magical micas/color shots and embossing needs!!! I used gorgeous papers from 7 Dots Studio, for my background and photo mat. Each piece was distressed and edged in Vintage Photo Distress Ink. I ran a mix of modeling paste and Magical Micas in Gag Me With a Spoon Gray through a TCW Mini Gears stencil, over the background. Let it dry, then added my other papers, and then ran the same mix, this time with Bodacious Blush Magical Micas, through the Tiny Circles stencil from TCW. Both are from CynthiaLooWho's new set Totally 80's. I also used Starburst Sprays in A Bit o'Bubbly, Down The Rabbit Hole, Bodacious Blush, Mission Bells Brown and Gag Me With a Spoon Gray, here and there, on my background. The paper gears were diecut with Tim's Gadget Gears, and then sprayed with the above colors. The large chippy behind my mat is Imaginarium Design, and was sprayed with A Bit o'Bubbly. My title is a Love Word from Maya Road, painted and then sprayed with Mission Bells Brown. The wood leaves are from Prima, and were also sprayed with the above colors. I purposely left the Prima frames bare. The flowers are Prima Bellas, Olivia and Serenity. and were also sprayed with my colors. Hope you enjoyed my take on this month's Color Challenge. Be sure to stop by the Lindy's Blog, to check out all of the DT projects. While you're there, don't forget to enter the Color Challenge for your chance at winning one of the awesome prizes!! Also, be sure tostop by the Lindy's store, to pick up all of your spraying needs!!! Happy Thanksgiving!! I know, I'm late....but because I work in retail, this was the only day we could celebrate! And of course, I'm late with my post for Lindy's Stamp Gang December Color Challenge. I started with a canvas stocking from Canvas Corp. I first sprayed with Lindy's Flat Fabios in Ocean Breeze Blue, Tweedle Dee Denim, Wicked Witch Purple and Starburst Spray in Cheshire Cat Cherry. Once Dry, I sprayed Lindy's Moon Shadow Mist in Long John's Silver through a Donna Downey Stencil. Again, I let my stocking dry, and then added stamping with Stazon Ink in Midnight Blue, Versafine Onyx Black and Colorbox Frost White, using stamps from Inkadinkado. I first painted the Kaisercraft chippy, then used Kroma Crackle over top. Let it dry and then sprayed with Cheshire Cat Cherry. The flowers are Petaloo from their Botanica Collection. The lace is from Flying Unicorn. The purple trim is from my stash. I made my own charm dangle from beads and baubles I had on hand. The large bauble was coated with Gel Medium and then slathered in Lindy's Glitter in Shabby Turbine Teal. I have to say, that this Color Challenge, was definitely challenging!! But oh, so worth it!! Head on over to the Lindy's Stamp Gang Blog, to check out all of the DT projects, and don't forget that Lindy's not only manufactures their own products, but also sells them in their online store. I started by gessoing the entire birdhouse, and then covering it with flowers, metal bits and pieces, laces, chipboard, etc. And then gessoed the roof again. Then I got out my Lindy's!!! I used Rusty Lantern Lime and Red Hot Poker Orange to spray the roof, and the bottom of the birdhouse. The base, is an old glass candle holder, that was given the same treatment as the birdhouse. The sides of the house were covered with papers from The Avenues Collection from BoBunny. The chippy at the peak is from WOW, and was embossed with LSG's Terra Cotta Rust. Love how the filigree fit perfectly at the peak! The leaves and flowers are from UmWow, and were sprayed with Red Hot Poker Orange, Rusty Lantern Lime and Shabby Turbine Teal. I embossed the cattails with Midnight Bronze Obsidian, and the hollyhocks with Terra Cotta Rust. The meatal 'Art' piece is from Prima Mechanicals, and was embossed with King Midas Gold. That's my project for the November Color Challenge...I do hope that you'll play along with us at Lindy's Stamp Gang. Our monthly challenge winners, receive gift certificates to the Lindy's Stamp Gang Store, and who couldn't use that?!!!!! Don't you just love those colors!!!!! You know you do!! I used letters and wood piece from Michaels, as my base. Papers are scraps from my stash. Love that Lindy's shimmer!!!! I used Starburst Sprays in Golden Lump o'Coal, Black Orchid Silver, Witch's Potion Purple, Canna Lily Burnt Orange, Screamin Banshee Black and Freaky Franken Lime. As well as Flat Fabios in Toto's Tornado Black. Flowers are from I Am Roses and Recollections. The iron gate is a chippy from Lindy's Stamp Gang, and was covered in Viva Decor's Ferro in Iron and Graphite. Thanks for stopping by, and make sure you check out Lindy's Stamp Gang blog, to see all of the DT's gorgeous projects. Don't forget to play along with us, for your chance at Lindy's giveaways!!! Did you know, that today the September Color Challenge is up at Lindy's Stamp Gang? Yep!! I started with a canvas, and drew on my flowers. Then I glued bits and pieces of lace, inside my flower shapes. As well, I added fibers, trim, braided ribbon, as my stems. The leaves are from Recollections. Once everything was dry, I added a coat of gesso, and painted my canvas white. I used a combination of misting (Starburst Sprays & Flat Fabios) and painting (Magical Micas), on the flowers and leaves. I didn't worry too much about over spray, as I simply used a baby wipe to blot up the excess color. Once I was happy with the flowers and leaves, I turned to SS Down the Rabbitt Hole, and misted the background. Again, I used a baby wipe to blot up excess color. Then I went over the background with SS Black Orchid Silver....one of my all time faves! !......and again blotted excess color with a baby wipe. And let it dry, I'm impatient, so I used my heat tool to speed up the process. It's very difficult to see in the photo, but the top layer on the flowers and leaves, is LSG Embossing Powder!! I took out my bottle of Boss Gloss (do they still make that? ), and rubbed it over the flowers, then added various colors of LSG Embossing Powders. I went over each piece, with at least 3 different colors. When everything was dry, I added some stamping (Kaisercraft and Tim Holtz stamps) with Memento Tuxedo Black Ink. And a bit of Gesso here and there. If you look really close, you can see some smudging from the ink, because I didn't let it dry enough. I'm okay with that, as it adds character! I also used the ink around the edges of my canvas. My title is a stamp by Donna Downey/Unity Stamps. Give Thanks with a grateful heart.